Climate Common Sense: Global Warming should be called Urban Warming! 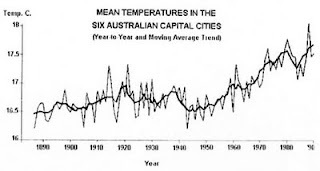 Global Warming should be called Urban Warming! The whole global warming scam is based on temperature data showing the world is warming inexorably and that warming is caused by CO2. 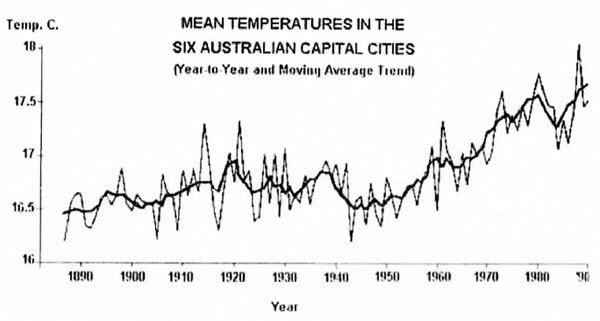 However the temperature data is quite different in urban areas than is in rural areas where the warming is small to non-existent. This means that global warming as defined by the warmists is largely a measurement artifact and the"models" are simply using faulty data to reach incorrect conclusions.Tim Ball takes time from his legal problems to give a fine primer on UHI . 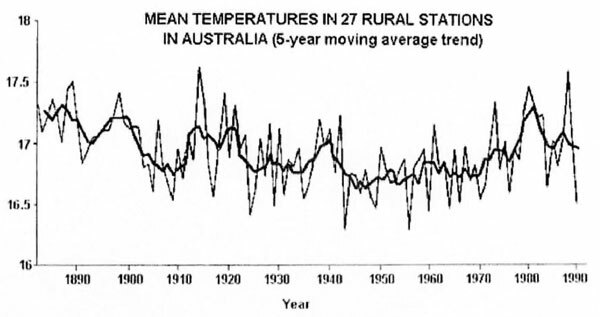 Australian data shows the stark difference between rural and urban "warming"
Note; Tim Ball has a legal defense fund if you wish to help out. Alan Jones skewers David Karoly! Britannia Sinking Below the Waves! Welsh Wild about Wind Towers! Power Bills forecast to Double says Supplier.